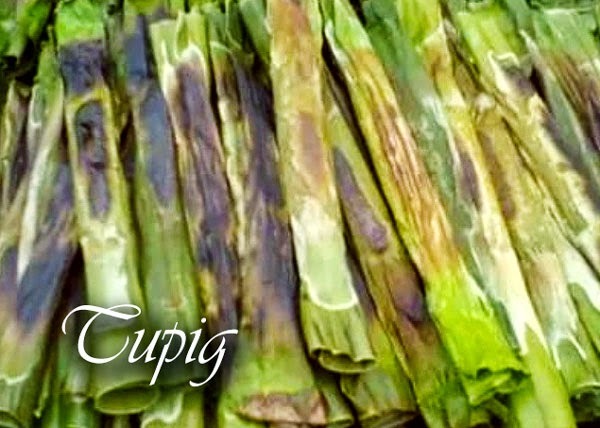 You've heard about pakbet, bangus, bagoong isda, kaleskesan, bagisen, binungey, pigar-pigar, tupig, Calasiao Puto at Kutsinta. Are some of the words sounds alien? No they aren't. They are dishes. These are the food I grew up with. 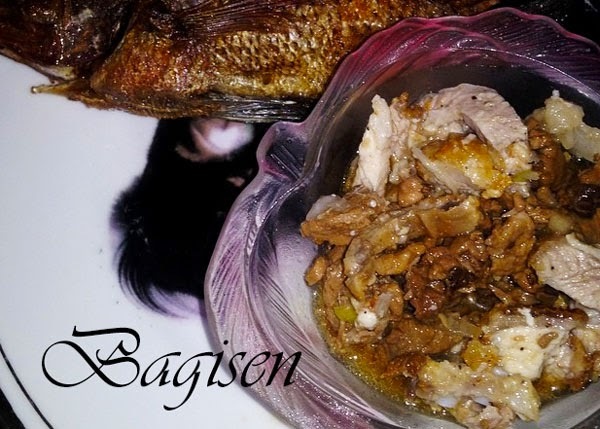 My parents both originated from Pangasinan, although I live in Metro Manila and Pangalatok has never been my native tongue, my palate has always been with these Pangasinan dishes. 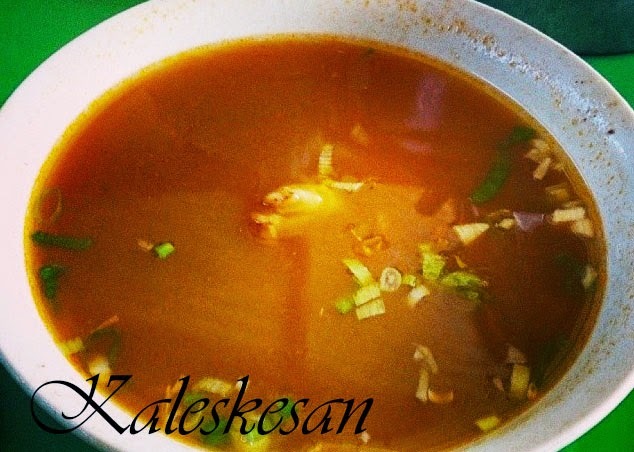 Traditional Pangasinan dishes are noted with its use of bagoong (fish paste) in their veggie dishes and cow or goat innards with their meat soup dishes, while desserts are primarily made of rice made sweet in sugar and coconut concoctions and made with a tempting aroma by cooking it under wood. 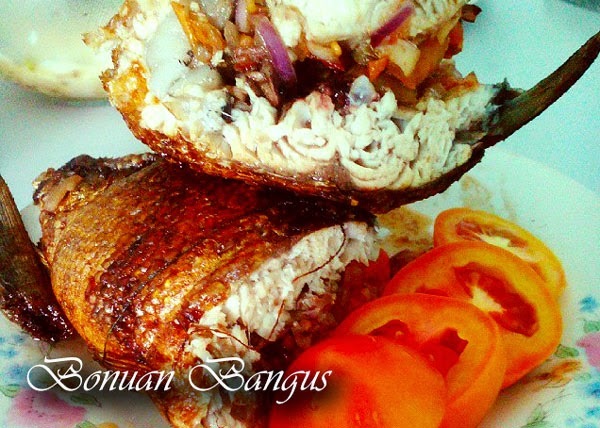 What makes this bangus (en. Milkfish) different from other bangus in the country? They are the hybrid type. Most milkfishes are freshwater species, but at the Dagupan, they are bred at saltwater by the Lingayen gulf. Being bred at sea, they have a different taste, more saltier and lesser stench (lansa) than the other. These fishes are great for grilled cooking or fried (boneless bangus) or being added as a meat supplement for one of their other dish called pakbet. Similar to pinakbet which is an Ilocano dish. Although they mostly do not differ and exactly the same. Pangasinan is the nearest province of the Ilocos Region in reference to the capital, Metro Manila, yet because it is still Ilocos, they do have almost the same dishes. 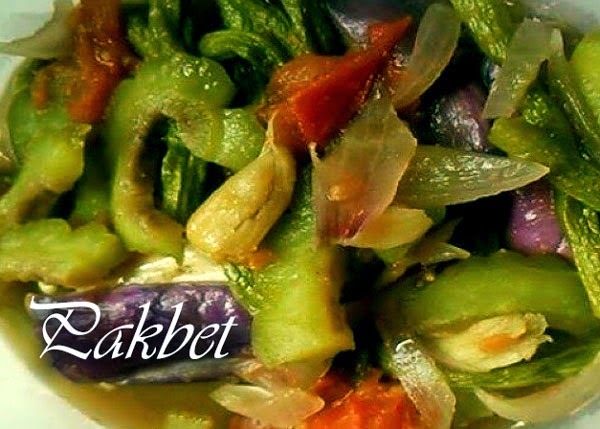 If you are in Ilocos and Tagalog, this dish is usually called "pinakbet". But in Pangasinan, usually this is "Pakbet". It is a dish of mixed vegetables you commonly hear in the Filipino song "Bahay Kubo". But Pakbet Pangasinan has more sauce (sabaw) than that of Ilocos and the soup is made more tastier by Bagoong isda (fish paste) instead of those the Ilocanos use which are usually fish sauce (patis) and alamang (made of krill). Pakbet is also mixed up with meat, either pork, beef or milkfish (bangus). 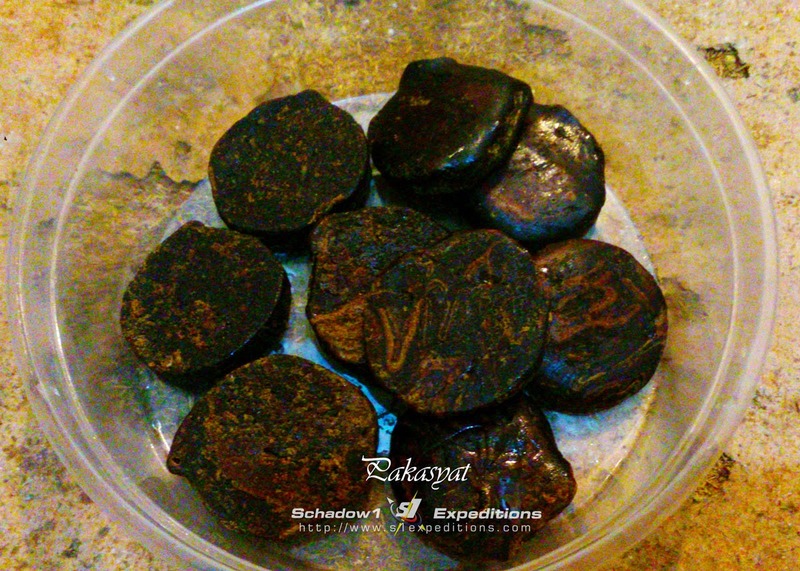 This is fish paste which is made up of fermented fish. More often used as food spice but also used as a dish on impoverished areas. 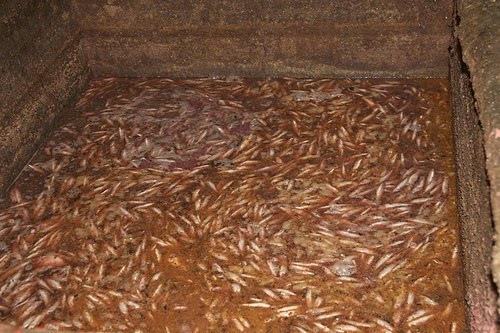 Raw small fishes (anchovies) are placed in a large cooking pot, seasoned with salt, vinegar and a little chilly. Preserved for a day without cooking and have itself be fermented by salt. Crushed a bit so the fish taste mixes up with the thick sauce via osmosis. Then sold in bottles. It has a stench unbearable to some people however mixing this up to sour foods such as raw mangoes or to add taste to pakbet makes the dish tastes awesome. This is the Pangasinan equivalent of papaitan made up of goat innards but unlike papaitan, they can either use goat or pig innards. The innards are cooked in boiling water and sauteed to taste. Animal fat (sebo) is also mixed once the soup is hot. 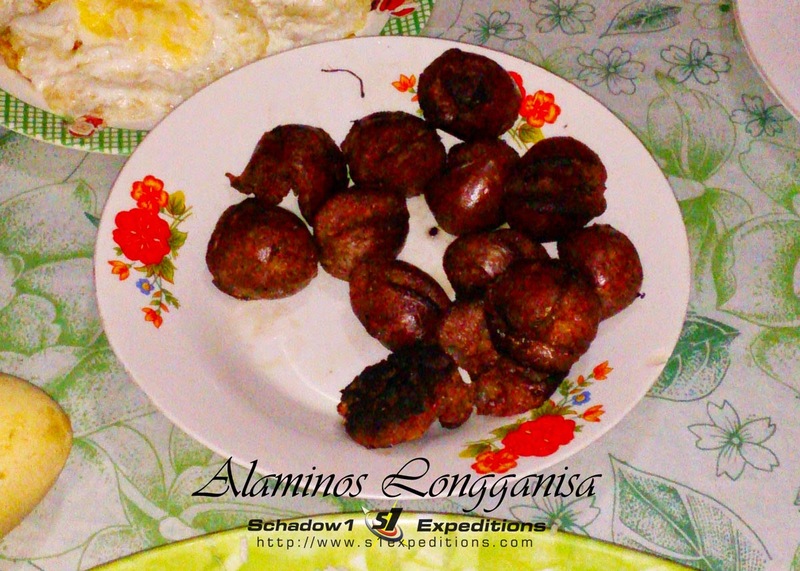 This is the Pangasinan equivalent of dinuguan but the difference is that it is cooked similarly to Kaleskesan. It is made up of either goat or pig innards, boiled in water, sauteed to taste. Then cubes of dried pork or goat blood is minced and added. 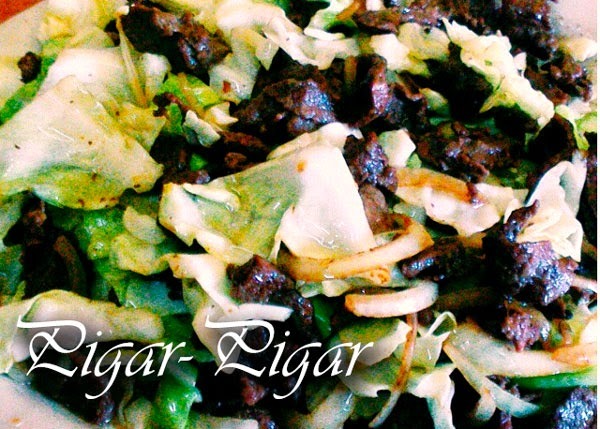 Like beef jerky but made up of both its meat and liver then fried and mixed with vegetables primarily with cabbage and onions. Meat can either be of cow's or carabao's. 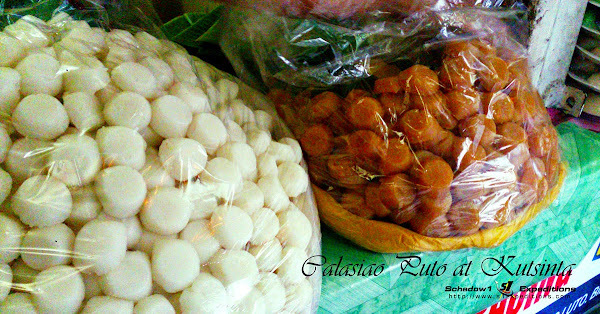 Originally from Alaminos, Pangasinan but is now sold in the whole province. Sweet compounded and solidified raw sugar candy tablets that is solid yet melts instantly in your mouth giving you an exploding sweetness as you melt or chew it. This is also used as sweetener for the local hot chocolate drink they always offer you at breakfast. This natural dark chocolate that came directly from crushed dried cocoa seeds has always been my favorite morning drink every breakfast. Back then when my grandma still prepares this way back when I was just a toddler. It is a rice cake with coconut meat strips and grilled while it is wrapped in banana leaves. 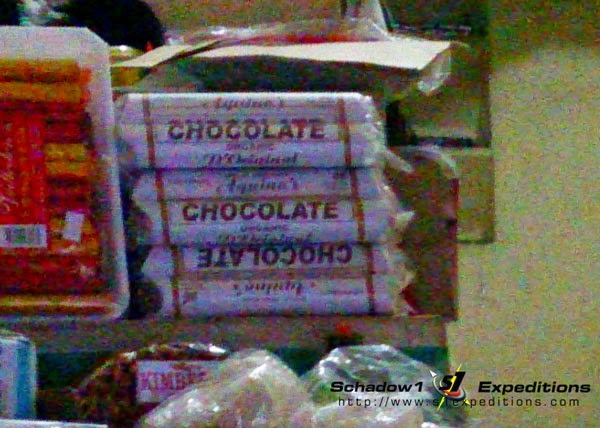 Also sold in Tarlac but its original version originates from Socony, Pangasinan. Noted for its smoked and sweet taste. It is a rice cake with similar taste to Tupig except that this is sweeter. It is cooked wrapped on banana leaves stuffed inside the hollow bamboo trunk. 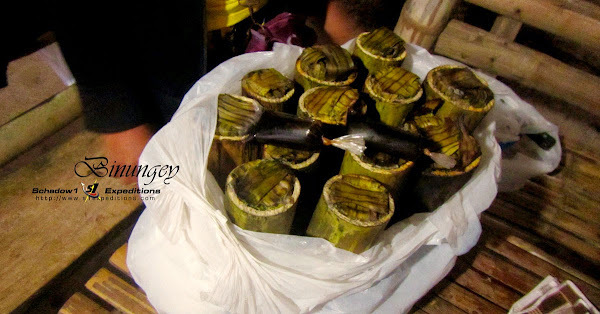 Once cooked, the bamboo trunk is cut in half vertically to expose the rice cake and is made sweeter with burnt coconut meat in liquefied brown sugar. Available only in Bolinao, Pangasinan. Mostly grown in Calasiao, Malasiqui and San Carlos, Pangasinan. They are noted for being big and super sweet. Widely available before summer ends. Where to get a taste of them? Almost anywhere in Pangasinan unless specified. Usually on carinderias or food stalls. Also available on classy restaurants in the cities of Pangasinan such as Dagupan, Lingayen, San Carlos, and Alaminos. To make sure they are fresh and cheap, get them at stalls near public markets. Special thanks to my cousin and his family for showing me around at Calasiao, Pangasinan during the new years'! It was a reunion to my roots. MANGAN TILA!